Faraway Press: The Online Home of John Jackson Miller: Ready Player One! Star Wars: Pinball - The Novel! Welcome to April! And you are welcome to read the news of my latest foray into cross-media inter-license branded fiction, with the kindly folks at Del Rey. 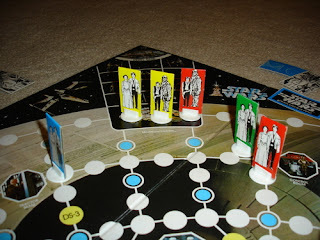 Click here to read about Star Wars: Pinball - Boba Fett! "In late 2013, Del Rey takes that synergistic approach to a new level with its trilogy novelizing Star Wars: Pinball: Boba Fett, a new downloadable game developed by Zen Studios in partnership with LucasArts. 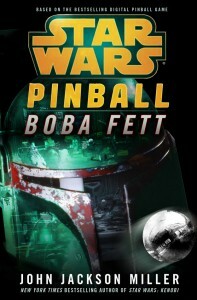 First in the series Star Wars: Pinball: Boba Fett-The Novel adapting the game’s table starring the galaxy’s greatest bounty hunter." It's something I've been interested in doing for a long time, having worked on both the gaming and fiction sides of things. My hope is to get the opportunity to adapt the old board games next. Like Escape from the Death Star. Gamers have known for years there were multiple clones of Han, Chewie, Luke, and Leia running around the Death Star — now we can finally explain that in continuity! April 2 Update: Well, of course, as you saw, this was Del Rey's April Fool story for the year. I plead guilty as accomplice! Fear not: RoqooDepot doled a measure of payback in the hours following, advertising my new Overdraft Cereal!